For more information about about the firm, please visit the About Us area. To learn about common abuses in the marketplace, visit the Consumer Alerts area. 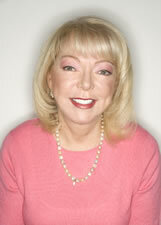 ANN MILLER, LLC, an AV rated firm, was founded in April 2001 by its principal Ann Miller. The firm's nationwide practice focuses on class actions, corporate, consumer, commercial and employment litigation. The firm's goal is to provide its clients with sophisticated in depth representation. 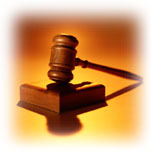 The firm handles a large portion of its cases on a fully contingent basis. Clients typically pay no money out of pocket for attorneys fees or litigation expenses. If you believe you were misinformed, misled, tricked or cheated in any way in connection with your recent mortgage transaction, please contact my office. If your rights were violated you may be entitled to a substantial refund or credit. For more details and information about how I can help you please contact me, or call 215-238-0468 for a free consultation. Read about the Class Action against Wal-Mart for violations of the employee retirement income security act of 1974 and of settlement. Many complaints have been filed against Wal-Mart for failing to pay their hourly employees all the wages they are entitled to receive. This means that Wal-Mart has also failed to make all the required contributions to their employees’ 401k and stock option plans. Mr. King has sued Wal-Mart to obtain these benefits for other plan participants like himself.